While the texts of plays can serve as lasting documents, the productions are ephemeral; a live performance is gone when the curtain falls. And yet the collaborative elements of theatre in performance—the work of the actors, directors, and designers—have tremendous scholarly and educational value long after a production closes. Now, with Alexander Street’s Theatre in Video Series, faculty, scholars, and patrons of the performing arts will be able to revisit great performances again and again, and these landmark events can become a permanent part of the curriculum. 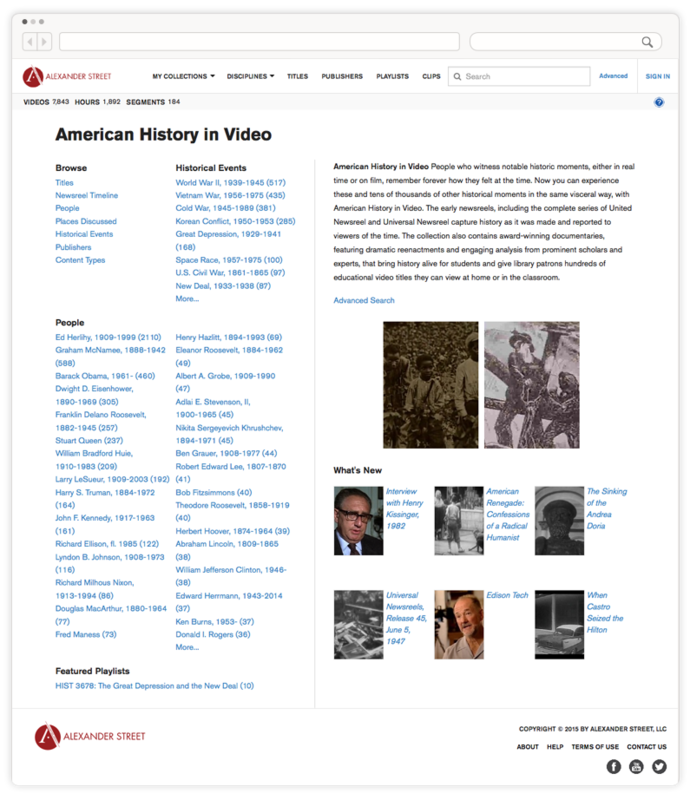 Theatre in Video expands your library’s existing collection of video recordings, while minimizing the challenge of damaged or lost DVD copies and saving shelf space. 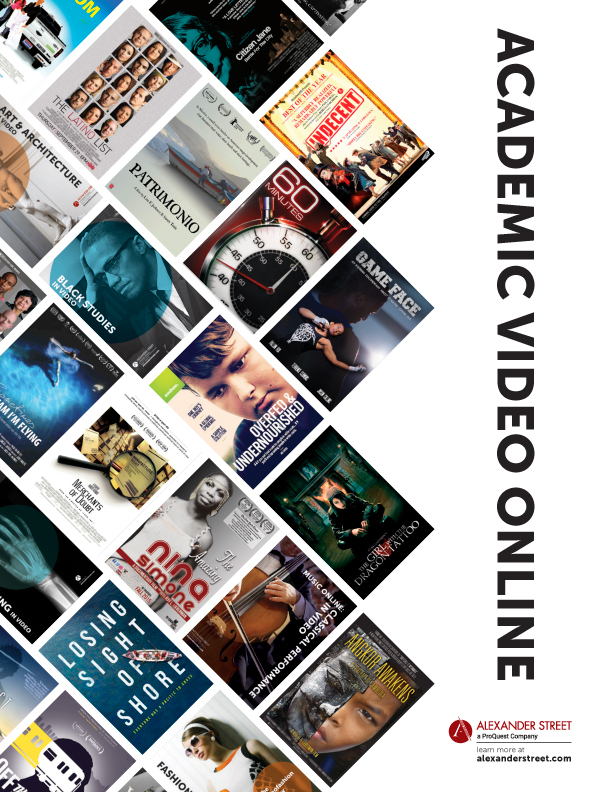 From beginner to advanced levels, Theatre in Video will serve teaching, learning, and research. 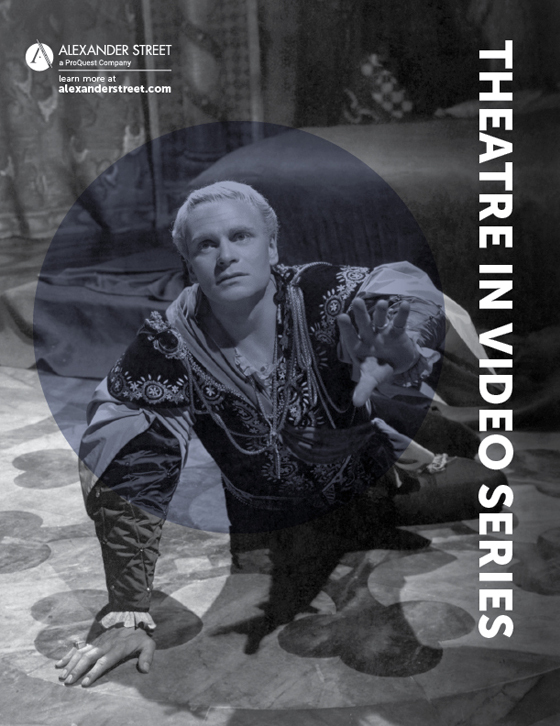 Theatre in Video: Volume I brings together hundreds of the world’s most important plays, documentaries, interviews, and instructional materials in more than 550 hours of streaming video. These definitive performances, by leading actors and directors, have been painstakingly licensed from a wide range of copyright holders. From celebrated productions of Shakespeare to rare, in-depth footage of the work of Samuel Beckett, the collection covers a wide range of 20th century theatre history. Interviews with directors, designers, writers, and actors, along with excerpts of live performances, deliver an authentic, behind-the-scenes look at hundreds of productions. 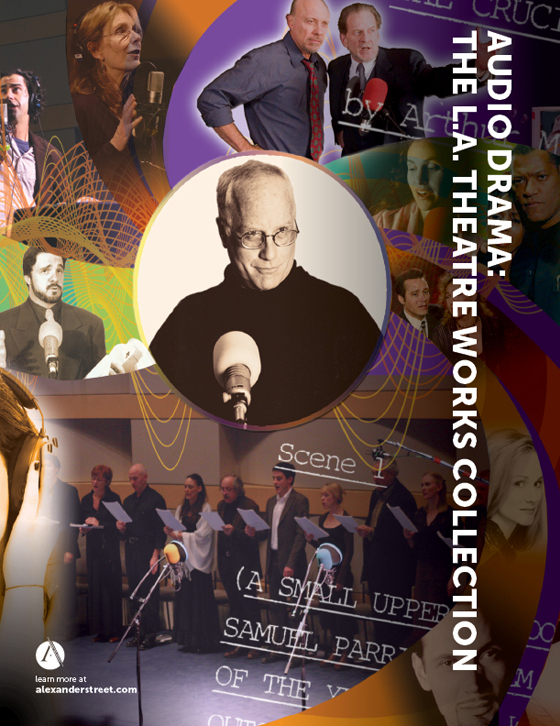 Volume II brings together 400 additional hours of classic and contemporary plays and documentaries. 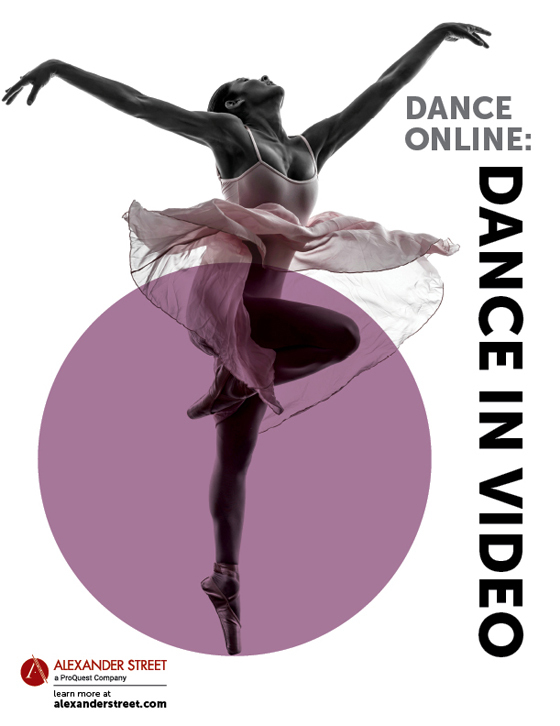 With a greater focus on new and international productions, Theatre in Video: Volume II offers a simple way for libraries to acquire highly valued and often difficult-to-find performances. Users can view the works of widely studied playwrights and theatre artists from around the globe, including many new performances from Shakespeare's Globe Theatre collection (Opus Arte), Theatre Arts Films, the BBC, and TMW Media Group. This collection is a must-have for any Performing Arts department, as well as for English departments studying narrative, structure, and literary adaptation, or scholars of History, Psychology, Linguistics, Cultural Studies, Sociology, and related areas. 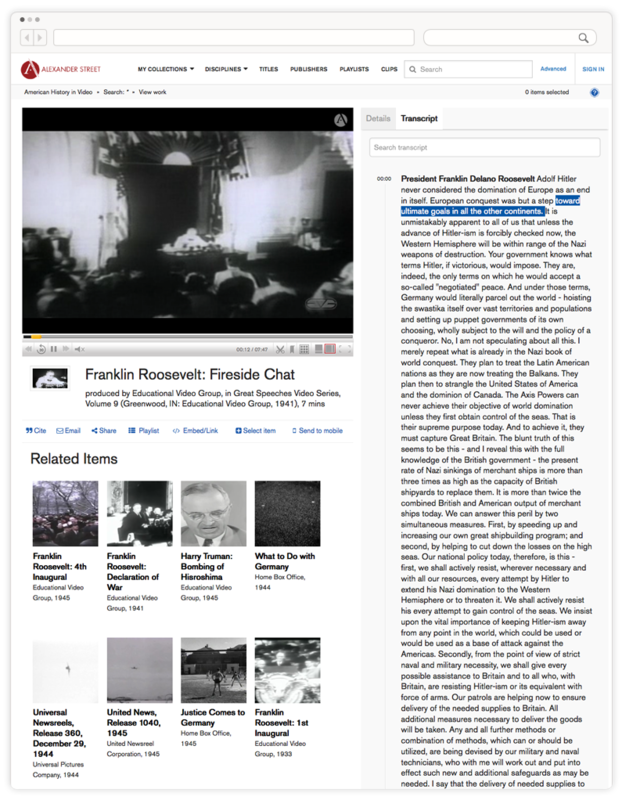 Users can bookmark specific scenes, monologues, and staging examples and then include those online links in their papers and course reserves. 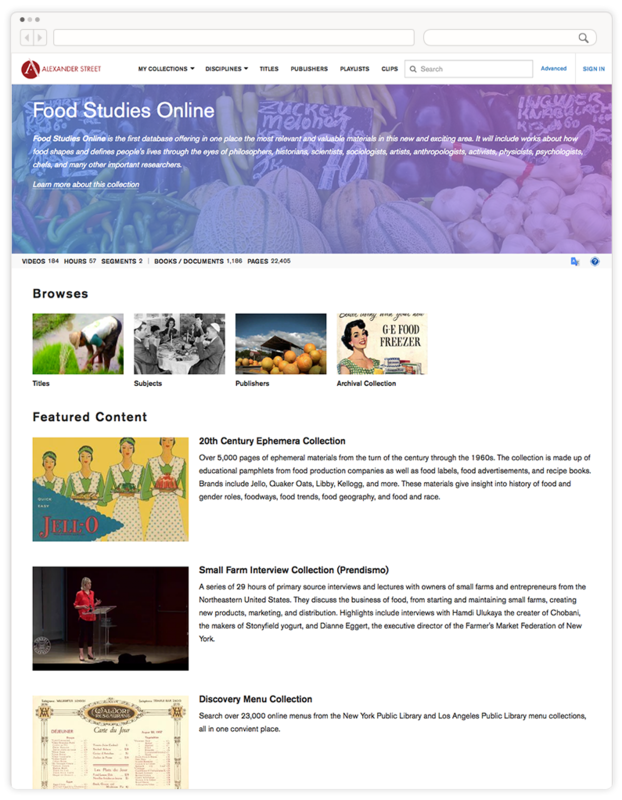 Class assignments and published papers take on a new dimension. Multiple productions of Shakespeare’s plays allow for comparative analysis, showing various interpretations of the text and technical and cultural differences among the presentations. 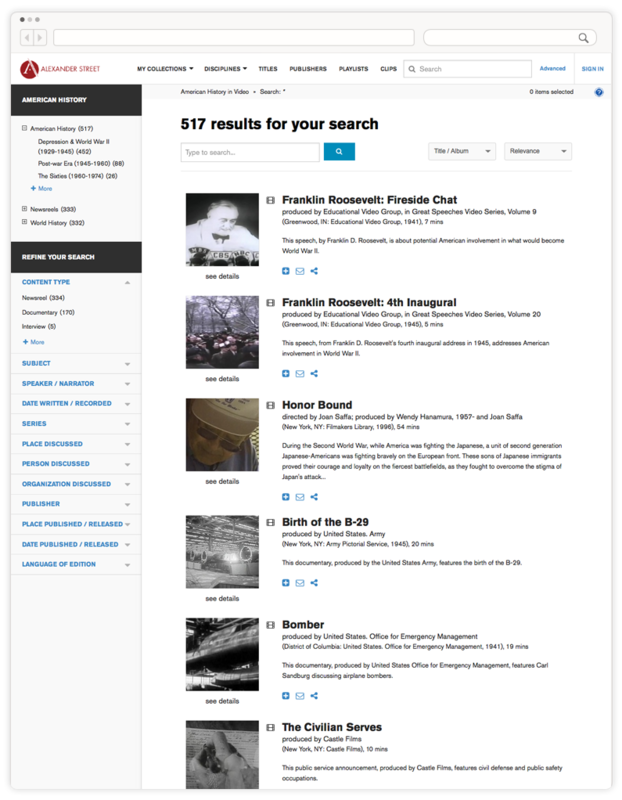 The stage work of legendary directors and actors are together for the first time, cross-searchable, and available for side-by-side comparison. 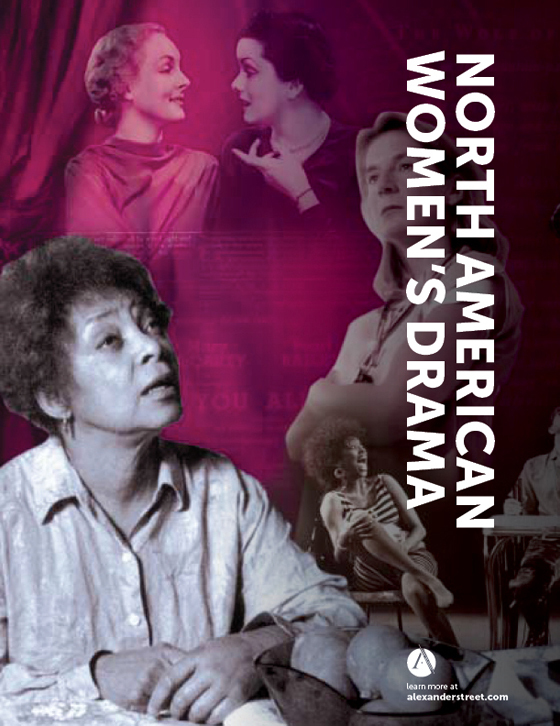 Interviews with directors, designers, writers, and actors, along with excerpts of live performances, illustrate the development of the texts and the productions. For example, users can watch and hear Arthur Miller discussing The Ride Down Mount Morgan and directing a rehearsal. Documentary histories examine such varied subjects as The Globe Theatre; Edward Albee; The Royal Shakespeare Company; The Federal Theatre Project; Luis Valdez and El Teatro Campesino; The New Drama As Viewed by William Saroyan (with Myron McCormack, exames avant-garde, with excerpts from The Killer, by Eugene Ionesco, The Sand Box, by Edward Albee, and Krapp's Last Tape, by Samuel Beckett); Adolphe Appia’s Design Innovations; The Role of Theatre in Ancient Greece; and other topics. Theatre in Video is available, either through annual subscription or one-time purchase of perpetual rights. Some videos may also be purchased individually. Contact your sales representative for a complete listing. *Not all content available in all countries. Unique content and usability. . . With over 500 hours of film, this growing information outpost has vast potential for students, scholars and teachers.